It is our anticipation and goal to provide a positive environment for young players to learn and hone their baseball skills. We want to improve the individual skills of each player as well as advance their skill-based training in combination with game play. With the instructional resources we have and knowledge of game strategies and game management, we can further develop your son’s baseball abilities. 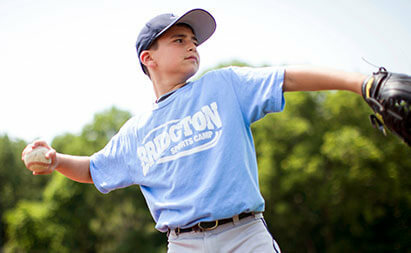 Individual skill instruction administrated by our staff at Bridgton Sports Camp (throwing, hitting, fielding, base running, and pitching) will provide your son the tools necessary for the next level of play. 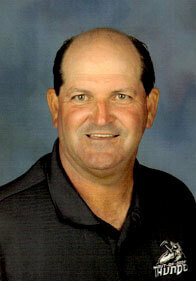 Mike Verrill’s coaching career began in 1969 as a Little League coach for Augusta South Little League. He then moved to Apple Valley Babe Ruth as a coach and League President for nine years. He served as the District 5 Commissioner for Babe Ruth Baseball for five years and the Assistant State Commissioner for 12 years, establishing new leagues and generally promoting Babe Ruth Baseball in Maine. Mike started coaching high school baseball in 1980. During that time, he established a won-loss record of 221 wins and 182 losses. 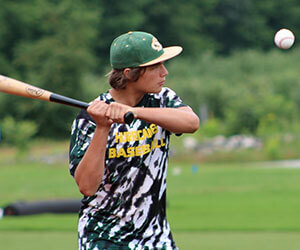 Mike has taken seven varsity teams to Regional Tournaments in both Maine and Florida. In 2009, his team won the District Championship and finished Regional-Runner-Up in the Florida High School Tournament in Division 1A. Mike also coached softball at the high school level in Maine, bringing home three KVAC District Championships, two Regional Championships and one State Championship. During that time he coached the Gatorade Player of the Year, won a Coach of the Year award and was selected as coach of the Maine State Sr. All-Star High School Game in 1999. Mike was a long time coach and clinician for Four Seasons Baseball and Frozen Ropes Training Center in Portland and Westbrook, Maine. Frozen Ropes is nationally recognized as a leader in the development of baseball and softball players around the country. Mike is now with Extra Innings of Sarasota, an indoor training facility for baseball/softball. He is the Director of Travel Teams and is responsible for forming new teams, indoor hitting leagues and other projects such as clinics and combines. He travels to several host cities around the country to put his softball combine on for college coaches to attend and see the top high school players perform and have the opportunity to evaluate and recruit. Serving the baseball and softball communities has been a priority for Mike. He was involved in forming both the Maine High School Baseball Coaches Association and the Maine Softball Coaches Association. Over the years, Mike has served on the National Baseball Coaches Executive Board and also the National Fast Pitch Softball Coaches All-American Regional Board. We will break down our 3-week camp instruction to include the following areas of the game: throwing/catching, fielding, hitting, base-running, and pitching. 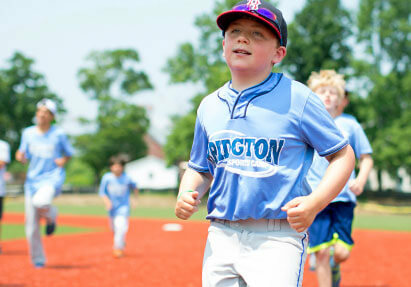 Sportsmanship, confidence, and fair play will be developed and enhanced throughout our 3-week program. Throwing and catching will be taught through proper instructions of mechanics. A series of throwing drills will be used to enhance each player’s ability to throw properly. Competitive and fun skill games will be incorporated to assess how each camper is doing. Fielding will be our next area to work on with a series of drills designed to show foot/hand work, breakdown drills, and soft hand gloves. Several games such as knock-out, run and catch, L-drills, and angle drills will be used to help develop each camper’s ability. Hitting is next and is considered the most fun and hardest aspect of the game. We will teach stance, load, stride, and swing components through a series of hitting drills. Pepper drill, walk-up tee drill, front toss, soft toss and live arm hitting. Some fun games will include Home Run Derby, line drive tennis ball drill, bunt games, etc. Safety is a big concern and rules about bat use and swings will be followed. Base Running will be next and this area of the game has been neglected for some reason for many years. We will learn how to take leads, 2nd stage leads, 1-2-3 walking leads, tag-ups, and other base running areas. Run-downs, home-first, etc. will be taught. Relay races, Indian file, and sliding drills will be used to enhance each player’s ability to run. Pitching, the most important area of baseball and the one player who really controls the pace and flow of the game. Pitching drills will include a throwing program, grips, 10 steps of pitching mechanics, arm mechanics, arm angles, and types of pitches thrown. The art of pitching is a long process, but we will teach our campers the basics to get them started on the right path. Each player will be given a detailed evaluation at the end of camp that will detail both strong points of their game as well as areas that need improvement. We’ve intentionally focused on these five skills as they are foundational to the game of baseball and essential for players to practice as they progress to more organized game play. Throughout our 3-week program, we will provide valuable insight on everything from strategy of the game, mental tips to help players focus, pre-game prep, and most of all how to make this great game fun. Our “Fun in the Sun” games will include the following: Home Run Derby, Around the Horn, Long Toss Hat, Bucket Throws, Rabbit Running Drill, Whiffle Ball Games, Baseball Golf, Pepper, and more. We also play organized baseball games to put all we have learned to the test.